Chun “Sandy” Hei Yu, age 67, passed away peacefully November 22nd, 2017, at Beaumont Hospital in Royal Oak, Michigan. 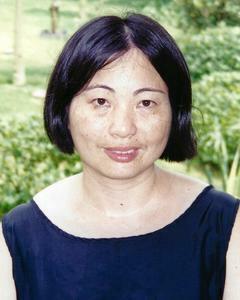 The daughter of Mui Choi Yu and the late Hing Tat Yu, Chun was a loving and devoted mother to Albert Tong and sister to Shui Yue, Paul Yu, and Ping Yu. She is also survived by countless friends and family whose lives she touched. She came from humble beginnings in Guangzhou, China. Chun was a loving and dutiful oldest child. She started working instead of continuing on to high school to provide a better life and further opportunities for her family. Chun immigrated to Michigan in 1980 where she worked in the restaurant industry. She initially owned a Detroit Chinese restaurant and later worked as a waitress in other restaurants. Despite being diagnosed with breast cancer in 1997, Chun remained strong and refused to retire. Chun’s strong work ethic was motivated by her desire to improve the lives of those closest to her. She was extremely generous and lived life for those she loved. Visitation will be held Monday, November 27, from 10am-12pm at Neely-Turowski Funeral Home, 30200 Five Mile (Between Middlebelt and Merriman).